Incorporating a high-end interior design into your home is a great way to express your personality and create a warm and inviting space that you’re happy with for many years. Today, you have many more options than ever before when it comes to the materials used to create these designs. Some of these materials have been around for a long time but now, thanks to modern technology, designers can use them to create unique and beautiful residential interior designs. The availability of these materials have opened up many new doors for designers and given homeowners a variety of new options that will help you create designs that suits both your needs and personality perfectly. While there are several different types of materials used in high-end designs that you may not have heard of before, the following three are some of the most impressive and easiest to work with. Commercial designers have used these materials for years but now residential designers are using them to create amazing designs for homeowners and the results are stunning. This material is making a big impression when used in residential homes. It’s implemented as a wall treatment to create a variety of textures and colors for different types of environments. It helps to create a chic and modern design that will impress anyone. Designers can use woven resin to create beautiful visual designs that you won’t get with other types of materials. When you think of stainless steel, big sheets of heavy metal may come to mind. The last thing you probably think of is using this material for interior design but it has a lot of potential. Designers are just now taping into all the options this material provides because it has the ability to take on many different forms. For example, small pieces of stainless steel can be woven into screens or linked together to create a wide variety of designs. You can discuss the different options with your interior designer to see how you can implement stainless steel into your home design. 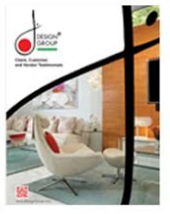 This material has opened up many new doors for interior designers. Simply put, its two sheets of glass pressed together with a variety of different flat products placed in-between to create amazing designs. Different types of materials are placed inside the glass to create different looks and you can use frosted, Starphire and colored glass or place mirrors on the backside of the glass to create amazing designs. All three of these materials give homeowners a wide variety of options that will help you create interior designs even more stunning than ever before. Using unusual materials to create high-end interior designs gives you the opportunity to come up with creations that have never been seen before. These designs are modern, sophisticated and simply beautiful. Talk to your interior designer at the beginning of your project to see if you can use one or more of these materials in your design plans. She can help you come up with a variety of ideas to choose from so you can find what suits your needs and tastes the best.